With lenders tightening up on their lending criteria and interest rates soaring many people are looking for alternatives to credit cards. There are a few financial alternatives to credit cards that can be convenient and eliminate the hefty interest fees. For some people a credit card is a necessity but for others the interest fees and late payment charges are a financial waste. With lenders increasing their interest fees and applying stricter lending criteria many people are hunting out alternatives to credit card. One of the key issues with credit card alternatives is the ability to pay for goods and services without using cash. Paying by plastic is more convenient when purchasing and making payments online and in stores. There are alternatives that will provide the same functions as a credit card without the costly interest fees. Debit cards are one of the most popular payment methods in the UK. They can be used to pay for goods online and when shopping at home and abroad. Debit cards are excellent for those who wish to have the flexibility of paying with plastic without the interest fees. Debit cards are linked with the customer’s bank account so each financial transaction will be drawn directly from the bank account. Transactions are safe and secure and customers will not be charged interest fees as they are using their own money. Pre paid credit cards have rapidly gained in popularity since they were introduced. They are perfect for people who cannot obtain credit cards or for those travelling abroad looking for a secure way to pay for goods and services. Pre paid credit cards are similar to credit cards except the card holders must pre load the cards with cash. This means that any transactions made will come directly from the cash balance. The only downside with pre paid credit cards is that card holders may have to pay small fees when loading or using the cards. When pre paid credit cards were first introduced the suppliers did not include them on credit reporting. But there are now pre paid credit cards that can help rebuild credit scores. Customers who do wish to use these cards to rebuild a credit score should look for pre paid credit card companies that offer this service. Customers can use pre paid credit card comparison sites and look for companies that offer credit bureau reporting. Charge cards have been around much longer than credit cards. There is no fixed limit or spending amount on charge cards but the balance must be paid in full every month. Charges cards can be used in the same way as credit cards to pay for goods and services at home and abroad. Charge cards are accepted worldwide and the major charge cards are one of the best ways to purchase goods and service when abroad. Charge cards are a good alternative to credit cards if the card holder can clear the balance every month. 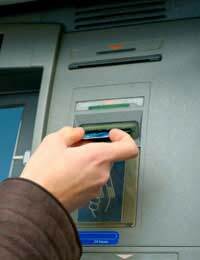 If the card holder does not pay the balance in full every month then interest fees will be applied. Balances cannot be carried over to the next month without incurring charges. It is vital that charge card holders can commit to clearing the balance if they are considering this option. There is not a huge amount of charge cards on the market when compared to credit cards and lending criteria is usually very strict. Credit cards are not the only solution when it comes to paying with plastic. The alternatives to credit cards may not be as heavily advertised but debt experts will advocate their use over credit cards. Over the long term debit cards and pre paid credit cards will save money when compared to credit cards. They should also be a way to budget money more efficiently and lead to more financial freedom without interest fees or charges.